1. I have spent some time to educate myself on the matter of oil subsidy and its recent removal by the government. I felt it was only right that I have an informed view in order to take a position on the matter. I have read the government's position paper on the intended use of the proceeds of fuel subsidy removal and have listened to many commentators both for and against. I have tried to develop a simple, hopefully logical, analysis of why we are in this trouble, what could be done and why the protest we are witnessing is beyond the removal of oil subsidy. 2. I must first say that, from a purely economic and national development point, the removal of fuel subsidy appears to make sense. We cannot continue to dole out our national treasure to a few people because they import oil on behalf of the government. People in the know believe that the current system allows for extensive and wide reaching corruption and collusion of all shades and colour. If we must develop, and if we must tackle corruption, this arena of corruption has to be tackled quickly. I have noticed also, that many people even the fiercest opponents of the subsidy removal seem to agree about the inevitability of the decision. 3. However, it isn't just the removal of oil subsidy that displeases Nigerians. It is firstly, the wider matter of government corruption and the impunity with which it is carried out. Secondly, Nigerians are unhappy with the insensitivity of government to the plight of the people. This is evident by the fact that there were no attempts to consult widely on the subsidy removal matter before it was implemented. Furthermore, the lack of a clear and effective strategy to alleviate the obvious burden that subsidy removal will place on the people is also an evidence of government insensitivity One could also argue that coming at a period when people are groaning under the bombings by the Boko Haram terrorist sect, the timing of the removal of oil subsidy further shows insensitivity and clear ineptitude on the part of the government. 4. Any observer may wonder why successive governments allowed the issue of corruption in the oil sector to fester without a clear and transparent strategy to contain it. It is also a failure of our government that it is unable to provide refined oil to its people without the meddling of several middlemen and middlewomen - a trail that leads all the way to the heart of the same people in government. Given that the government created the corruption in the oil industry, it should have the courage to sort it out. Surely, the challenge of leadership is to solve difficult problems. 5. I have listened to the arguments of General Buhari and Prof Tam David West - both former petroleum ministers and in the case of General Buhari a former military head of state. Both are of the opinion that the subsidy argument by government is fraudulent. They contend that there is no subsidy in the sector and therefore you can't remove what does not exist. As much as I tried to follow their argument, I found it difficult to understand their point of view. What I suspect they were trying to say is that we won't have to talk about subsidy if we do not have to import refined oil. 6. We certainly would not be in this situation of importing refined oil and having to subsidise it if we had invested in our four refineries so that they function at full capacity, which I understand would be enough to satisfy our domestic demand. 7. The question is why aren't the existing refineries working to capacity? A forensic report by KPMG shows that our refineries were working at between 11% to 25% utilisation rate between 2008 and 2009. This is no doubt due to neglect over the years - a by-product of corrupt government and refinery officials. 8. Can we not prosecute those involved in running aground the refineries and can we not stamp out corruption? The simple answer is that corrupt people cannot deal with corruption. Our current politicians and leaders are neck deep in it and they will rather not tamper with the hornet's nest as they know that the consequences are determined. 9. If the existing refineries cannot be resuscitated, why is the government not building new refineries? I suspect the government’s position is that new refineries will probably be sabotaged just like the existing ones. Our government understandably doesn't trust itself with building and managing refineries. It had instead issued 20 licences to private individuals to do so, but they too have balked because it doesn't pay them to do so in a climate of subsidy, so we are in a stalemate. 10. What then should a responsible government do? · A responsible government would consult and dialogue with its people on what must be done. · A responsible government would lay out a credible plan to alleviate the burden that subsidy removal will bring on its people. This would have been done in good time and not as an afterthought a week later. It is laughable that President Jonathan made the launching of 1600 buses his government core strategy to alleviate the burden of subsidy removal. 1600 buses for 150 million people? · Most States in Nigeria have been unable to implement the 18,000 naira ($115) monthly minimum wage introduced by the government. Many employees in Lagos spend between a third or half of their income on transportation alone. So do the Maths, Mr President, now that petrol has gone up by over 100 percent, how would they find the money to meet the corresponding jack-up in the price of everything? · A responsible government would publish its strategy to rein in the runaway corruption in the country. It will prosecute those who have defrauded the nation whoever they may be. · A responsible government will make itself accountable to the people. Surely one of the best ways to tackle corruption is transparency. · A responsible government would also tackle the excesses in government. Cutting 25 percent off the salary of the executive arm of government is too little too late. Not even a three- year old Nigerian believes that anyone in government live on their salaries. The President would have been more credible if he had tackled the obscene money budgeted for running the government, travel, accommodation, gardening etc. Spending 3 million Naira ($18,000) per day on food at the Presidency is pure, unadulterated corruption. President Jonathan, it tarnishes your image that such a huge amount of money is spent under your watch when the vast majority of Nigerians will never earn that amount in a lifetime, long or short. Since our politicians like to copy America, you may be interested to know that the White House kitchen operates like an hotel, and the US President receives a bill for his meals on a monthly basis. 11. Nigerians have argued that the only benefit they derive from being citizens of this country is the subsidy on oil. We do not have good roads, or good medical facilities. Our schools are broken so is every other infrastructure. To remove this one thing is not only a slap in the face, it is criminal. 12. The government has been at pains to make Nigerians understand it will use money saved from subsidy removal in building the necessary infrastructure to make life bearable for the masses. Unfortunately no one believes them. There is a trust deficit that the government may not be able to fulfil. How can a wasteful, insensitive government suddenly wake up to its responsibility and become accountable to its citizens. Mr Jonathan, why don't you start now by scrapping security votes and then using the money to build roads, schools and hospitals. Then, we may just start to believe you. 13. Besides, money supposedly saved from the removal of oil subsidy will be divided between national, state and local governments. Who will monitor how the state governors (who are much more distrusted by the people) and local government chairmen spend the money? 14. It is one thing for a government to be corrupt, it is another for it to be corrupt and inept at the same time. The government has mismanaged this issue of subsidy removal, the President and his government have taken Nigerians as fools by having no clear strategy towards the burden their policy would create and the management of any fallback from it. President Jonathan has been insensitive in going forward with this policy at a time when Nigerians are under the Boko Haram siege. He should also have known that Nigerians attach a huge sentimental value to seasons and times, not the least the beginning of a new year, no serious government will ignore such sentiments. 15. For me therefore, the struggle we are currently engaged in is much more than that of the oil subsidy removal, it goes further to the wider problem of corruption. · We should therefore not relent until Nigeria is delivered from the irresponsible bone-marrow corrupt Governors some of whom have a monthly security allocation of over 100 million Naira that is unaccounted for. · We should not relent until transparency is at the heart of our government. · We should not relent until the President explains why it needs millions of naira for newspapers annually. · We should not relent until all Nigerians have the basic necessities of life - good water, electricity, access to healthcare and quality education. · We should not relent until we educate everyone around us on how to make government accountable. That is what I am also resolved to do. 16. I therefore wholeheartedly support the protest as long as we continue to be peaceful and focused on the wider issue of government excesses, tackling corruption and ensuring transparency in government. We must not allow this struggle to be hijacked by criminals. 17. Final word, Mr President, let's go back to the status quo, and let's dialogue on how to go about the removal of subsidy and how to make it bearable for our people. 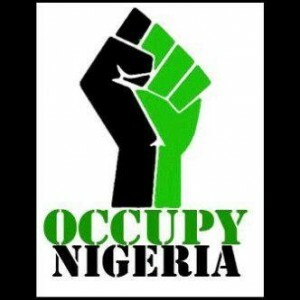 Nigerian leaders will be mistaken if they assume that the current protest is about subsidy removal alone. The people are fed up of the corruption in government at all levels and they want change. Only when this matter is addressed honestly and credibly will you begin to win the confidence of Nigerians. Re-installing of new refinery equipments before removal of subsidy would have been ideal. The corruption issue is endemic and unbelievable but unfortunately our problems are deeper than that. We all have to go on our knees before God and ask for the forgiveness of our sins. People are dying unnecessary everyday because of lack of vision on our leader’s part, roads are death traps, virtually no credible hospitals, malaria is a giant killer yet it can be eradicated if the government cares and value the lives of its people. All kinds of abominable things are happing on a daily basis. This is a very good analysis of the situation in our country and I agree wholeheartedly with your sentiments. The refineries should be outsourced to private companies to run and they should be given utilisation targets to meet. Then we will not have to import refined oil and there will be no need for subsidy.